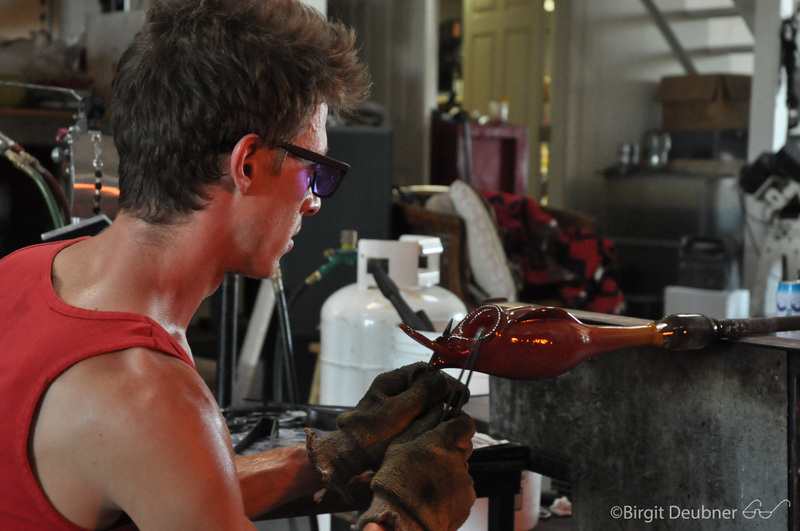 Glassmaker and Artist Evan Kolker at work in Glow Glass Studio in Oakland, working on a pitcher plant, September 2015. This is very technical work requiring years of glass working experience. 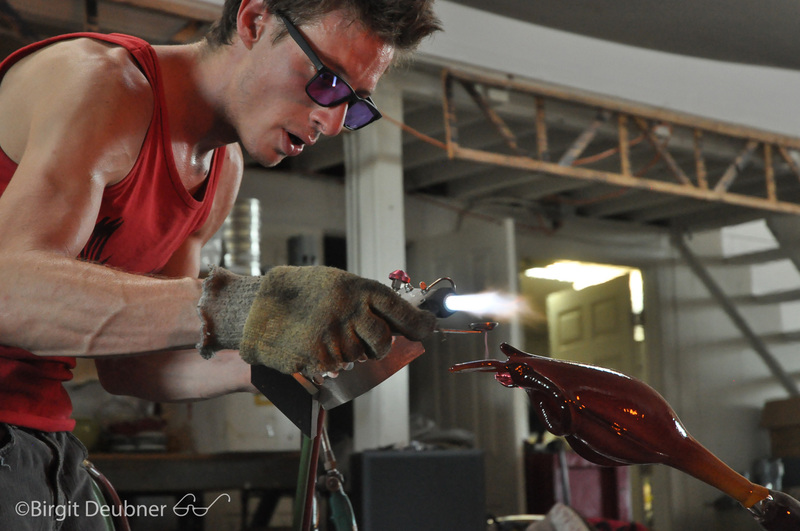 Evan is regularly assisted by Jason Stropko and sometimes assists with Jason’s projects, too. 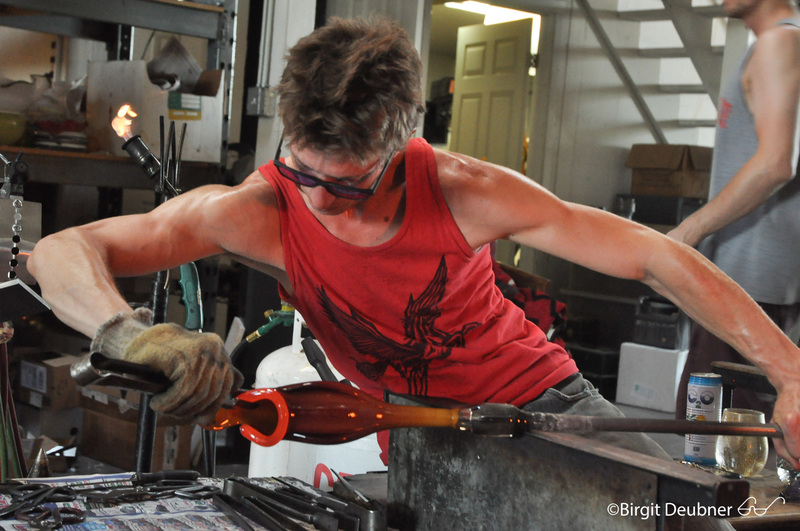 There are some things that are very difficult if not impossible to create without having a competent assistant who also has a thorough understanding of how glass works.